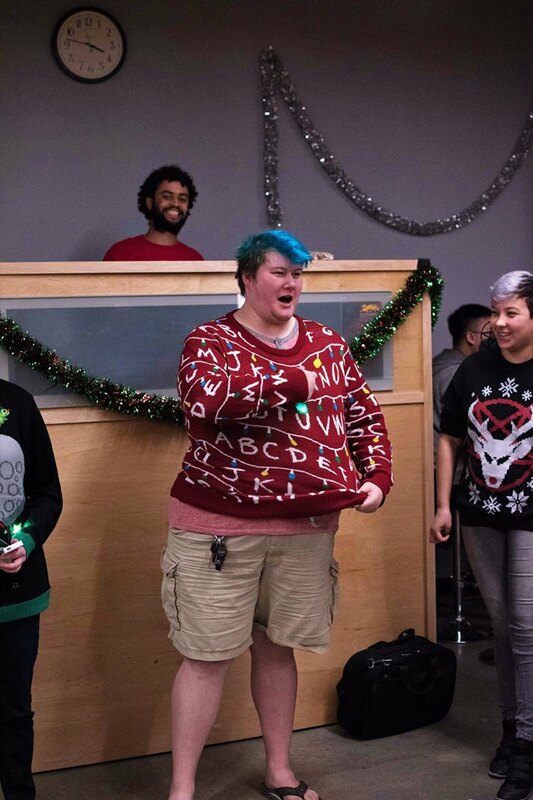 With finals drawing to a close and winter break right around the corner, Cogswell ASB organized a Holiday Party to spread holiday cheer on campus. The party was on Thursday, December 7th from 3pm to 6pm, and there were plenty of sweets to go around. 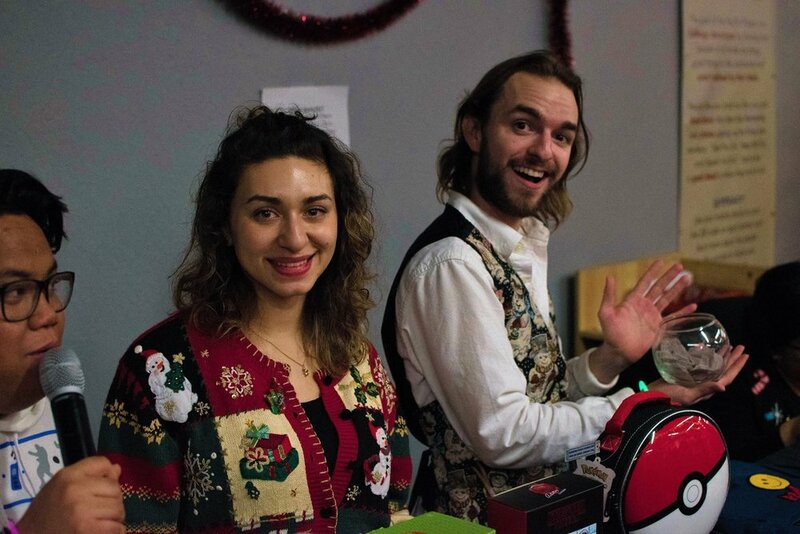 The first event was a Christmas sweater contest, and prizes were awarded to the winners of each category—funniest sweater, cutest sweater, and ugliest sweater. 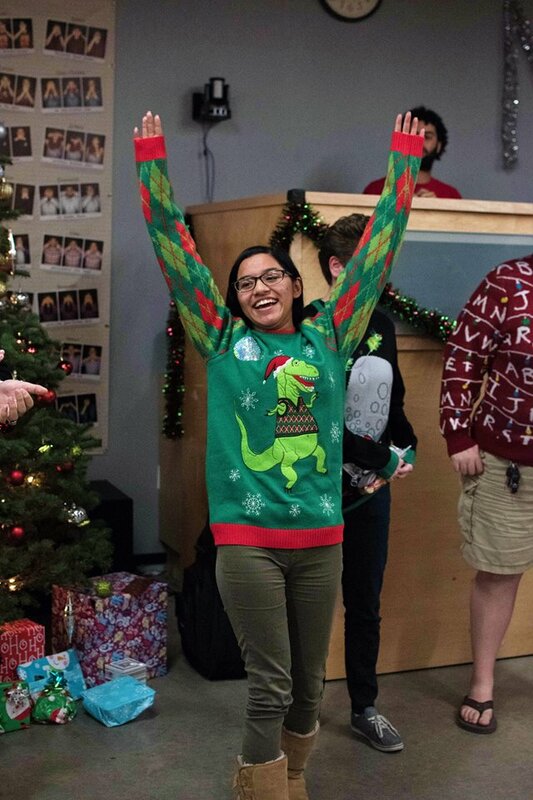 Rather than plain old numbers, the judges of the contest provided hilarious feedback on each sweater such as “Yasssss”, “Werk”, and “k.” Some of the featured sweaters had fun images like a T-Rex, a llama with tassels on its ears, and R2-D2 wearing reindeer antlers. Party attendee Catherine Dievendorf enjoyed just watching the sweater contest. “It was adorable,” they said. Winners each chose a Pop! figure and were given an extra ticket for the raffle at the end of the evening. 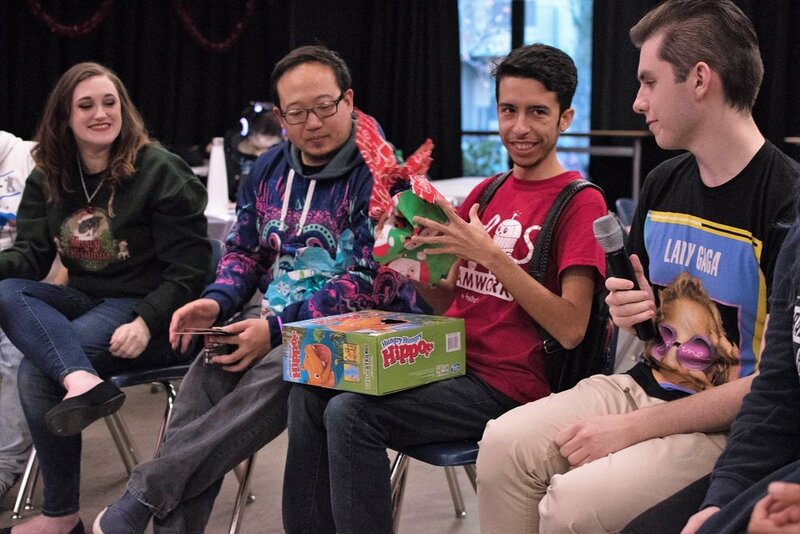 After a break for more snacks and conversation, the party continued with a White Elephant gift exchange. People who provided gifts were encouraged to keep the prices of their items $10 or under, and there were variegated results. While some items were more desired, like the Star Wars poster and the lovely holiday mug, others, like the brick, were not. The event was a perfect way to shake things up, and the group of gift exchangers was no doubt surprised to see who ended up with what. 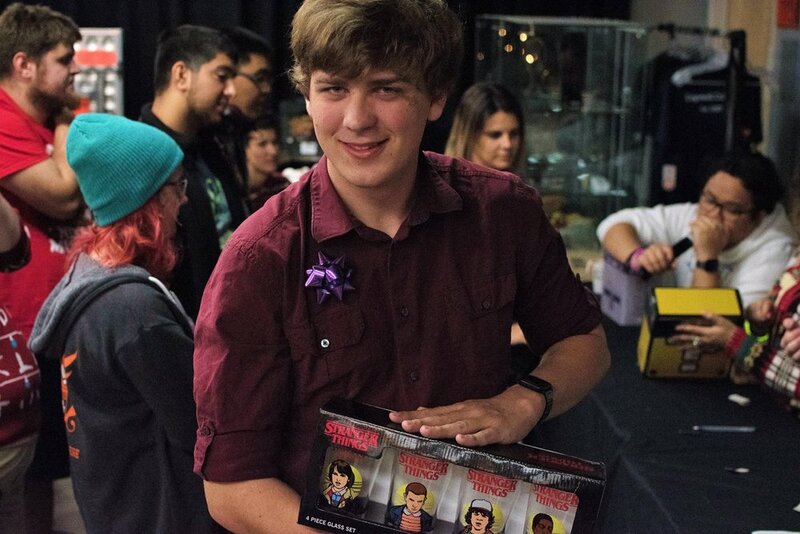 To cap off a fun party, many items were raffled off to party attendees, including a Stranger Things backpack, Legend of Zelda pint glasses, and Nintendo-themed mystery box. “It was a warm atmosphere,” says Dievendorf. 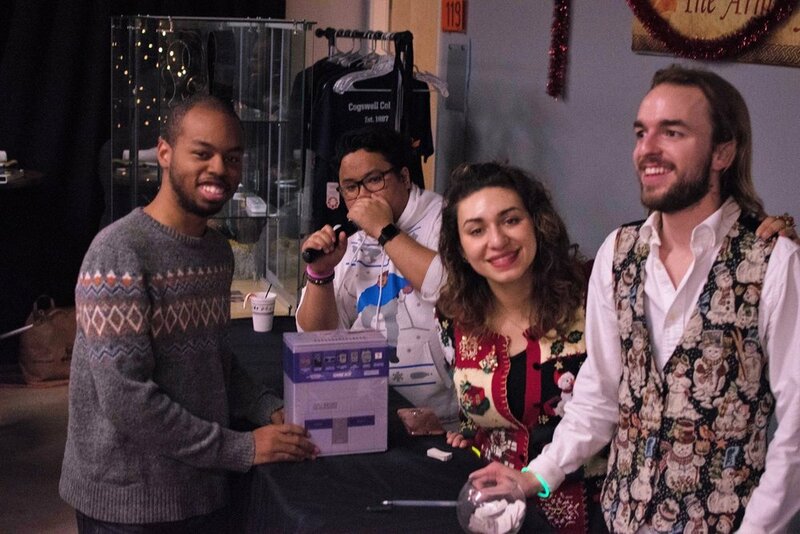 “And the little gift bags were nice.” They and other students hope to see more events like the Holiday Party in the future. No doubt every student left the party happy and ready to take on the last week of the Fall 2017 semester.